How much is my Texas medical practice worth? As Texas Medical Practice Valuation Experts, Tinsley Medical Practice Brokers follows different medical practice valuation methodologies depending on whether the physician is selling a medical practice to another physician, assessing value for a divorce proceeding, or if practice partners simply want to go their separate ways. There are several pathways to follow when putting a value on a medical practice. The FMV (fair market value) approach – what other practices in the area sold for recently – often works great for single-family homes but can be an ineffective wild goose chase when comparing medical practice models. Finding true comparables is often challenging if not impossible. Another approach is The CFV (cash flow valuation) or income approach, a very important component for business investors. While projecting future cash flow works well for many business models, CFV is of little help to a typical medical practice owner. Medical practices do not retain earnings. Most have little cash left after paying for overhead expenses and physician compensation. Physicians tend to absorb what’s left after expenses as their compensation. Unless a physician earns substantially more than the fair market rate for his or her specialty and the area, that money is physician compensation, not profit. That’s why figuring in goodwill – the ability to make profits – is such a major component in physician practice valuation. Stark what? What is Stark Law? Stark law, is actually three separate provisions, governing physician self-referral for Medicare and Medicaid patients. The law is named for United States Congressman Pete Stark, who sponsored the initial bill. The Income approach offers the most realistic possibility of arriving at a conclusion that is appropriate for the regulatory environment in the healthcare industry. 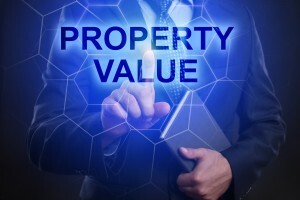 A knowledgeable appraiser, such as Tinsley Medical Practice Brokers, can incorporate the special circumstances often present for a particular transaction into the valuation model assumptions and select a valuation multiple that is appropriate for the degree of risk in the investment. Market methods pose significant risk. Details of a particular sales transaction in a database or public record are rarely known and without such details, the appraiser cannot properly assess the appropriateness of the sale in comparison. The special restrictions on the use of market data contained in the Stark regulations further complicate the market approach’s use. Valuation is an increasingly critical component of the various transactions among health care entities and referring providers. The Stark regulations make it clear that even a “proper” valuation “does not establish the ultimate issue of the accuracy of the valuation figure itself.” Certainly, a valuation prepared by someone without the requisite knowledge of the regulatory framework offers even less protection for the parties to a particular transaction. The result of a bad method can be liability under the AKS, False Claims Act, Stark , or Administrative Sanctions such as exclusion from the Medicare Program. Attorneys do well to assist their clients in selecting qualified appraisers and certified valuation consultants such as Tinsley Medical Practice Brokers who understand the regulatory parameters of “fair market value” in the medical practice arena.